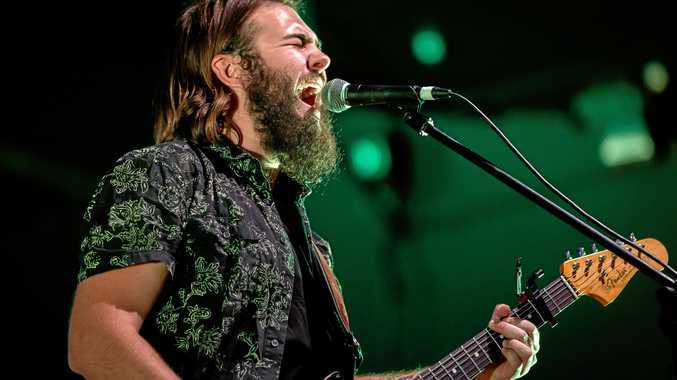 GYMPIE solo artist Linc Phelps is officially one of the Australia's top 10 emerging country artists after yesterday's announcement that he is a grand finalist in the 40th Toyota Star Maker held in Tamworth. Born and raised in Gympie, Phelps joins a stellar list of celebrities including Keith Urban, Lee Kernaghan, James Blundell, Travis Collins, Gina Jeffrey and Beccy Cole whose involvement in the competition played an integral role in their careers. From the age of 17 when Phelps was given a scholarship to Camerata , to numerous Gympie Music Muster performances to the release of his first solo album Tempus two years ago, the country artist has had his feet firmly planted in the music scene. Phelps was once compared to a "young Michael Hutchence” by a talent scout when he performed with his band in the Jazzer Quest as a teen. Phelps will compete against nine other national finalists at Australia's country music capital in January at the Tamworth Toyota Country Music Festival. The competition is the main event for the first weekend of the festival and the winner will receive guaranteed performances at major festivals and events throughout Australia.